Direct Marketing | Alta Vista Inc.
Alta Vista Graphics carefully coordinates marketing communications mixes that deliver clear, consistent and compelling messages about client organizations and brands. As the direct marketing landscape continues to evolve, it is the strength of print that generates the success of the integrated cross-media mix. Print is cost-effective. Print is tangible. Print sparks action. 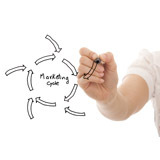 We tailor integrated marketing plans to the individual needs of our clients. It’s more than just a printed piece, a personalized URL, or e-mail. It’s optimizing the execution of your strategy so that you build and maintain a one-to-one relationship with your customers.